Awaiting the Arrival of a Carverfest Tube Amp from Angelo! Just worked out a deal with Angelo for one of his Carverfest tube amps he had listed on eBay yesterday, really looking forward to trying it out in my main system. He tells me the Carverfest amps are superior to the factory version the VTA-20 which I really liked myself. "The 2020 was based off this design but used tag boards. Tubular joe talked smack about what bob ferineli did on those prototypes before the production ones where sold. 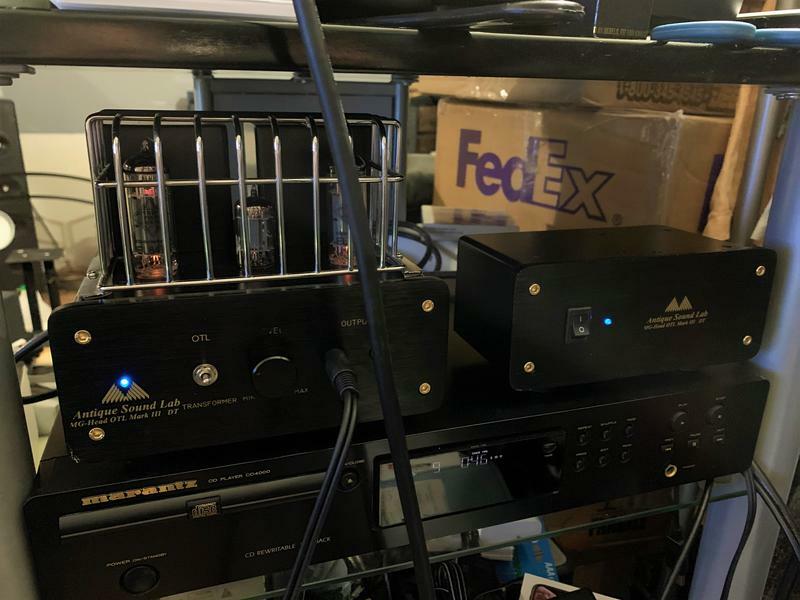 I would be very interested in your feed back on this little amp"
Back when I had the VTA-20 I was able to compare it head to head with a Lightstar amplifier and an original Sunfire 600x2, I actually liked the sound of the VTA-20 over the 600x2 up to its power limits, remember thinking the little tube amp sounded closer to the Lightstar than the 600x2 did. Anyway, just really excited to try this out as my living situation has changed and I no longer need big power to drive my system so this may end up being a keeper for awhile. I'm going to try it head to head with my refurbished Sunfire 325x2 (thanks Doug!) and see which works better for me. I'll post pictures as soon as I get it set up and running. Congratulations! Look forward to your review. Look forward to your thoughts also. In my setup, I preferred the CF 20 amp over my 400X7 at sane listening levels. Just posted my thoughts under another thread as to why. I have the Mullard tubes in the little CF 20, but to be honest, not a big tube roller. Put those in and never looked back. I'm interested in hearing your thoughts on the 2011 amp. They work really well driving my Stax headphones also. I plan on testing the amp using my Oppo Sonica DAC as a preamp initially, will be comparing it to my Sunfire Ultimate Receiver first. After that I have my Sunfire TGP-IV & 325x2 combo I'll try out and for the final showdown it will probably be using the TGP-IV / Oppo combo with the Carverfest amp versus the 325x2. I would like to run just the Oppo DAC and tube amp if possible (that was a major justification for spending the money on that DAC initially) but I found that I needed some tone and crossover controls to dial back the bass response as my speakers will quite easily tear up my room if left un-checked with the 325x2 / Oppo combo. If I had to guess I'd say I'll probably end up with the TG-IV as a volume / tone / crossover control using the Oppo as a streaming device / DAC with the Carverfest amplifier. I obtained a 2011 CF tube amp last spring and have been rolling tubes since. I find both power and driver tubes can make quite a difference in detail and soundstage. tubes just sound flat and grainy to me. a pair of 12AX7 Telefunkens and Amperex Bugle Boys. The prices are outragueous! My point is you may want to add tube rolling into the comparison. Is your amp wired for 6AX7 or 12AX7 tubes? Looking forward to hearing how the little EL-84 plays music versus some of the big dogs. That would be some really fun listening sessions. Hasn't come in yet, scheduled to be at my house on Thursday but I'm out of town until at least Saturday so it will be a bit still before I get a chance to spend any time with it. I know I'm eager to check it out I think it will be perfect for my current situation / set up. That sounds pretty cool. Tube amp for headphones, Pics, pics, pics. Nice. Looking at those tubes in there all I can think is they look like a caged animal. Hope they sound....ah...wild. 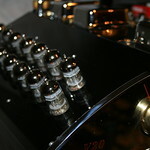 You May not had them long enough yet but Any Opinion yet on the Tube amp? 3D imaging - sound-staging & musicality? Tubes rock man!